An elegant piece of furniture, the Dots Garden Seat offers a luxe addition in any setting. 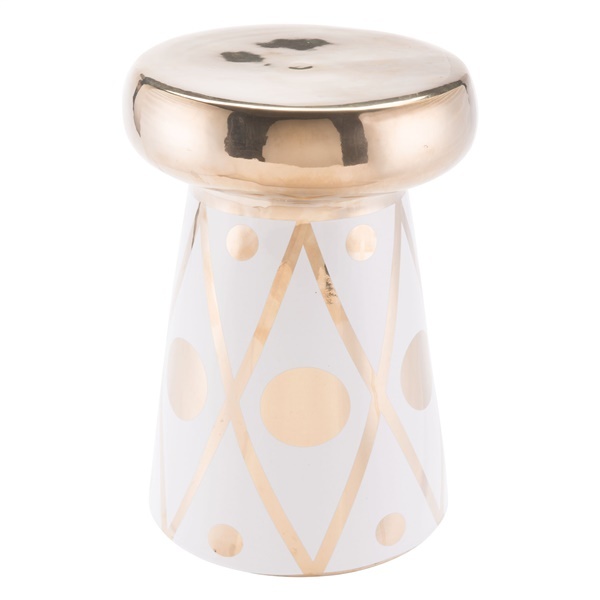 The seat boasts a distinct metallic gold pattern that adds a modern touch to any d�cor. Also, the seat is constructed from high-end ceramic for superior quality. Pick up the Dots Garden Seat, and you can enjoy a stool that combines fashion and function like never before.